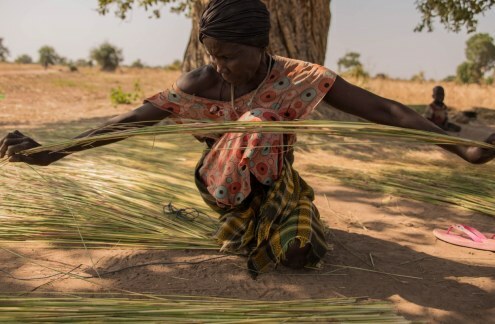 With South Sudan's harvest season coming to an end and the dry season fast approaching, Abuk Moukiir is exhausted and hungry, taking longer rests in the shade of a nearby tree where she chews on a few raw peanuts to fill her empty stomach. IRIN reports. 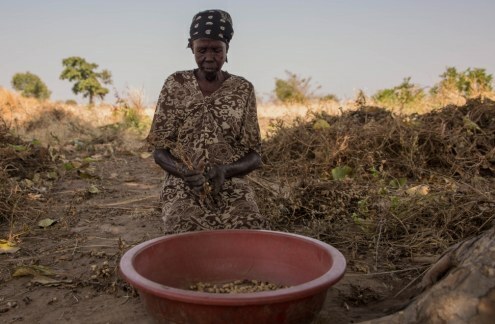 Abuk Moukiir sits in the shade of a tree while harvesting peanuts. She’s sick and weak but survives hunger by finding different day jobs.